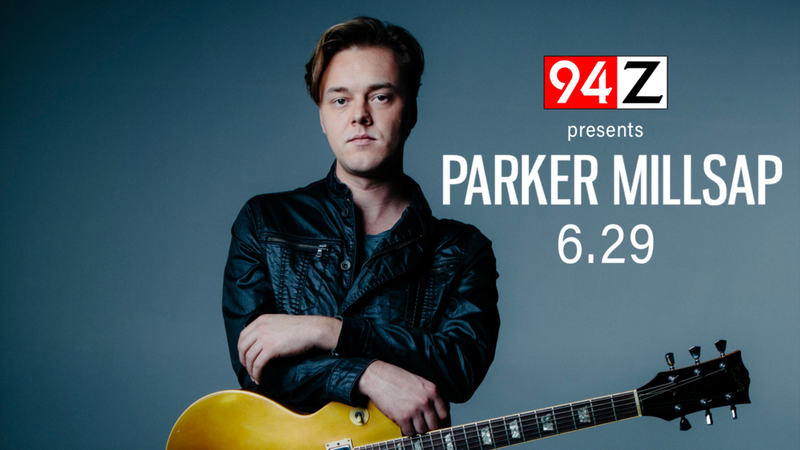 At only 24 years of age, Oklahoma native Parker Millsap is quickly making a name for himself with his captivating live performances, soulful sound, and character-driven narratives. He recently wrapped up a banner year, which included his network television debut on CONAN, an invitation to play with Elton John at the Apple Music Festival, an Austin City Limitstaping and an Americana Music Association nomination for Album of the Year, as well as winning the International Folk Music Awards' Artist Of the Year. Parker's most recent release, The Very Last Day, has received praise from The New York Times, The Boston Globe, LA Times, Austin Chronicle and Rolling Stoneto name a few. Parker first picked up an acoustic guitar at nine, then plugged in and went electric after getting into Eric Clapton and Stevie Ray Vaughan, eventually starting a cover band, Fever in Blue, with classmate Michael Rose who still plays bass with him today. After graduating high school, he moved to Northern California, where he interned at Prairie Sun Recording, the studio where Tom Waits recorded Bone Machine and Mule Variations. Returning to Oklahoma, he put down the electric guitar and got into songwriting, releasing an indie album in 2012, Palisade,which he sold from the back of his van.